Ben Magalis died unexpectedly on November 17, 2018 on a camping trip in Wasatch County, Utah. Benjamin Swanson Magalis was born April 8, 1994 in Shakopee, Minnesota to Tim and Julie Magalis. The family moved to rural Cannon Falls one year later. He was baptized and confirmed at Spring Garden Lutheran Church, rural Cannon Falls. He went to Cannon Falls schools, graduating in 2012. He participated in golf, weight lifting, band and the robotics team. He was in 4-H, showing beef cattle, pigs and goats. He played the trumpet and performed taps at the Memorial Day program with his friend, Dustin Safe their senior year. He enjoyed playing airsoft and riding his dirt bike. He attended Vermilion Community College in Ely, MN earning an Associates of Science degree. He continued college at the University of Wisconsin, Stevens Point, earning a B.S. in forestry in 2017. He always helped out on the family farm and for his Dad, roofing. Throughout high school he worked at the Sauter Dairy farm. After high school he worked a few summers for Sue Vance and then four years with Prairie Restorations. After college, he worked one summer for D&S Concrete, Northfield, MN. Ben then packed up his belongings and traveled by himself across the western United States; camping, hiking, disc golfing and visiting friends and family along the way. He got a job at Alta Ski Resort in Alta, Utah the winter of 2017. He went to Fort Collins, CO during the summer until he could return to Alta Ski Resort this winter. 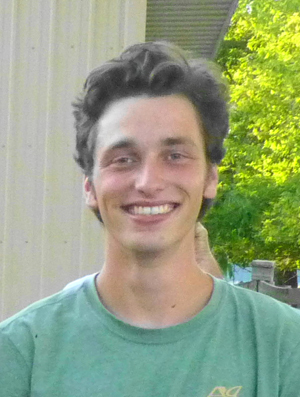 Ben was a fun, loving young man with a gentle spirit. He made lasting friendships wherever he went and deeply loved his friends. He had a passion for adventure and the outdoors, especially skiing, disc golfing, hiking and camping. He practiced with his kendama for hours to learn new tricks. Ben had a quiet way with people and animals, and he found peace in nature and in music. He was a kind, positive person with a gentle demeanor and ready smile. He loved his family and friends. He is survived by his parents, Tim and Julie Magalis; sister, Robin Magalis and grandparents Worrell and Pauline Swanson; aunts and uncles Steve Magalis, Cincinnati, OH, Terry (Jeanine) Magalis, Brooklyn Park, MN, Pat (Lynn) Magalis, Lakeville, MN, Sue (Wyatt) Bienfang, Le Seuer, MN, Mike (Paige) Magalis, Lakeville, MN, Pete (Joni) Magalis, Farmington, MN, Marty (Tammy) Magalis, Prior Lake, MN, Sharon Swanson, Goodhue, MN, Carole Eidsvoog, Jacksonville, OR, Wendy (Chas) Boyer, Bemidji, MN and many cousins and friends. Visitation will be Thursday, November 29 from 4 to 8 pm at Spring Garden Lutheran Church, 10239 County 1 Blvd, Cannon Falls, MN 55009. The memorial service will be Friday November 30 at 11 am, also at Spring Garden Lutheran Church. There will be a visitation one hour prior to the service at the church on Friday. 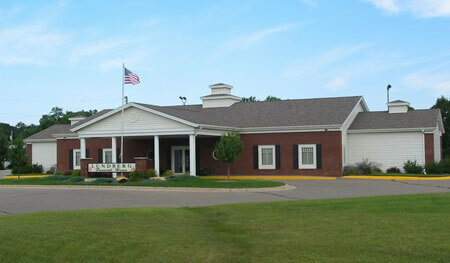 Lundberg Funeral Home, 5839 Hwy 19 Blvd, Cannon Falls, MN 55009, is assisting the family.